I thought the days of people trying to imitate stunts from the “Jackass” show/movie were over! Guess not. 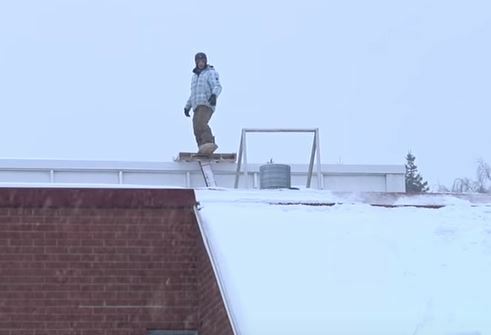 This guy in Finland had a great idea during a recent snow storm: he was going to snowboard from rooftop to rooftop near his home. We wouldn’t be talking about this unless he totally face planted. I’m going to say this again, unless you’d like to win a Darwin Award (and you don’t), please don’t try this at home. Go to your local ski resort and rip it up – safely!